When setting up a social campaign, it’s common to put all of your focus into the audience targeting, campaign type and strategy – thinking that’s all it takes for a winning campaign. 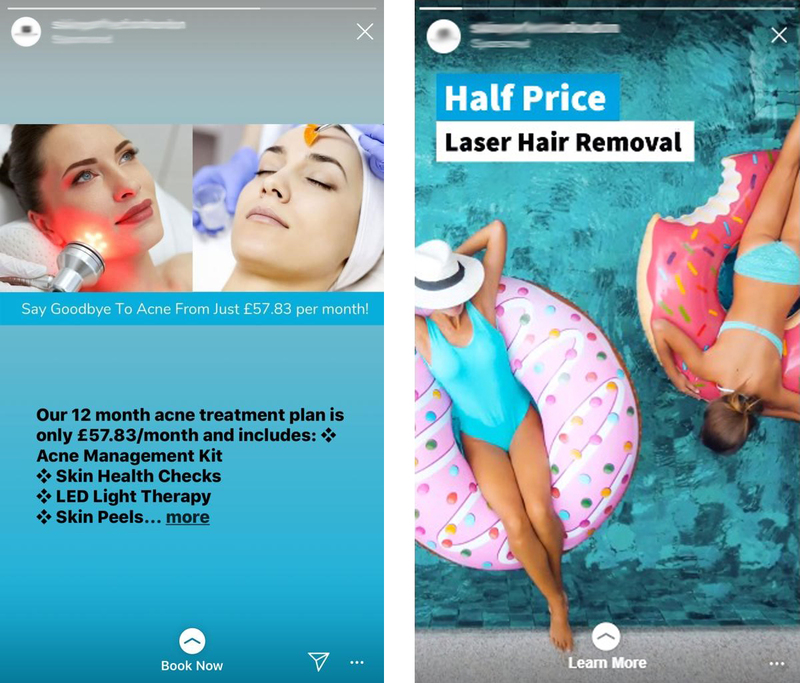 Whilst developing the right audiences, targeting and campaign type is super important; if you want to improve your click through rate (CTR) and ultimately increase leads from social advertising (Facebook and Instagram), you need a creative strategy too. But, how should you do it? Here are a few best practices that we have learnt through testing and optimising social creatives for our clients. Content consumption is trending towards video in recent times. Think about your own consumption – how often do you find yourself sitting on the sofa watching TV, but with your phone in hand, scrolling through Facebook & Instagram instead of paying attention to the TV? So video should be an important aspect of your creative strategy for social – but why? Engagement rates are typically higher on ads with videos rather than images, this means people are more likely to click, comment or share videos rather than images. 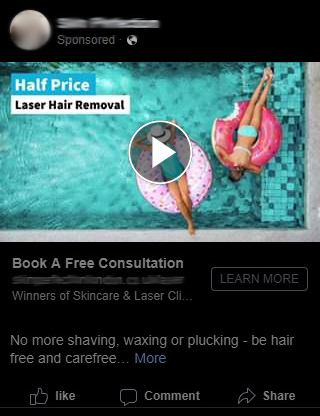 Facebook will typically prefer to serve video ads over static image ads. This means that video will drive a lower cpm (cost per 1000 impressions) for video ads – meaning you will get more impressions for your budget & more impressions generally mean more conversions! So, how should you do it? 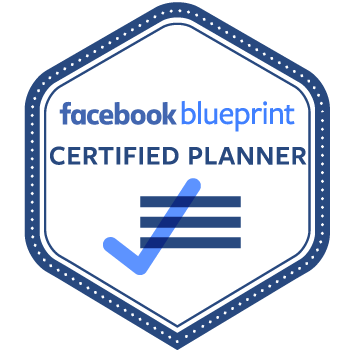 Here are some best practices, recommended by Facebook as well as things we have learned from running winning social campaigns. Keep it short: It’s recommended to use videos that are between 15-20 seconds. This is because viewer engagement drops after 3 seconds, and again after 10 seconds – so the longer your video is, the less total watch time % it gets. Facebook will then use this metric to give you an ‘ad rank’ and if it’s low, you could potentially get a lower ad rank score; meaning the algorithm will show your ads less – leading to a higher cpm. It’s also worth remembering to keep your text short too – as the Facebook rules doesn’t allow more than 20% text in each frame – so this will restrict your reach too. 2. Use the first few seconds wisely: As people scroll through the news feed, your video needs to quickly grab attention and interest in the first few seconds to engage the viewer. 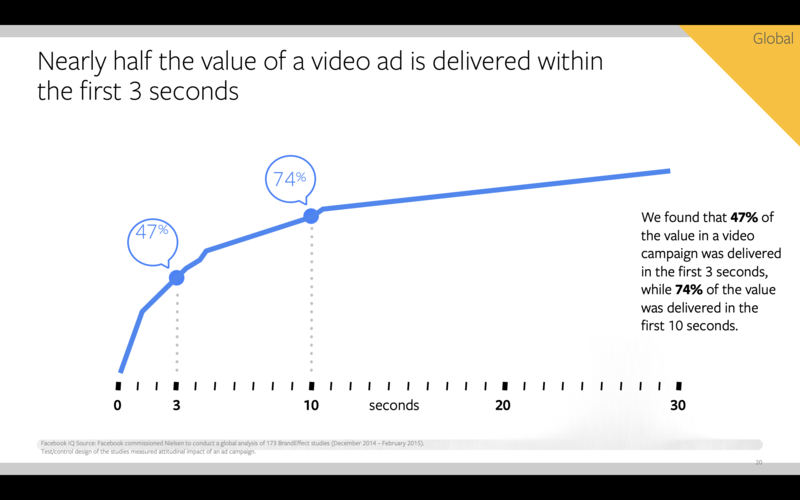 From the graph above, it’s clear that people aren’t watching full videos (dropping off in the 3 seconds), so it’s important to get your message across at the start. I would usually recommend showing your brand, product imagery or key message at the beginning of the video. 3. Design for mobile: It should be no surprise that people are increasingly choosing to watch mobile video on social channels with 75% of worldwide video being viewed on mobile devices. That being said, it’s a good idea to design your video for the mobile experience. Horizontal video works well on desktop and TV, but the mobile experience is different. With most people holding their smartphones vertically, square and vertical videos take up more space on the screen (or feed) than horizontal videos; creating a better experience for viewers. Vertical: Vertical videos are best used for Instagram, Facebook and Messenger stories. It’s definitely worth taking the time to resize your creatives for these placements as they re-size quite badly if you ignore the ratio. 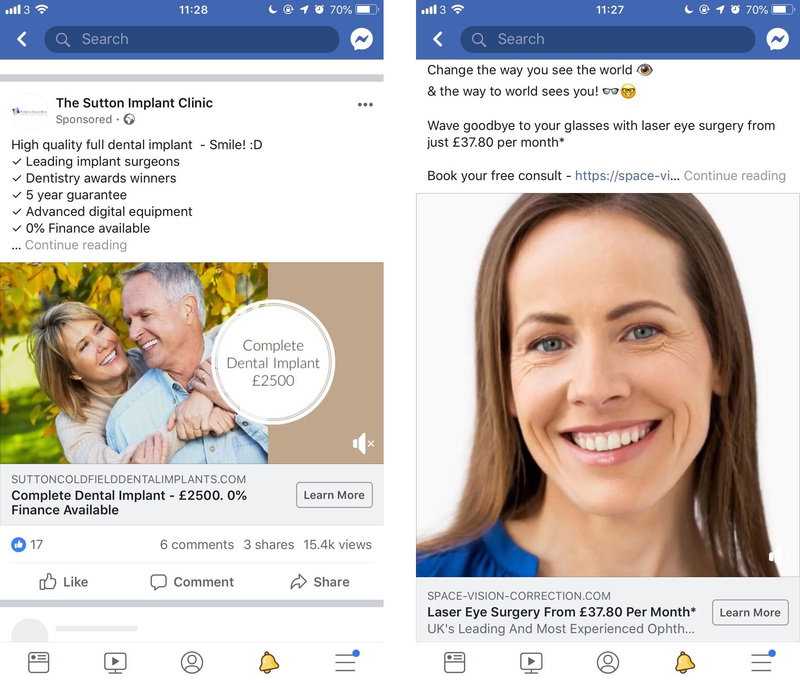 There are studies to show that when ads look similar to regular posts, engagement is higer and viewers are more likely to view the content in a positive way. The image below shows a non-optimised story ad compared to an optimised ad – I know which one I’d be clicking on! Horizontal: Although horizontal videos don’t work as well in the feed, it is the recommended ratio for the audience network and Facebook suggested in-stream videos. So, if you don’t have this size in the campaign – you will be missing out on showing ads in these placements. All placements work together to bring in the lowest cost per lead – so it’s highly recommended to run all placements together with optimised creatives for optimal results. So, video is having a bit of a moment, but before you change all of your ads to video format, don’t neglect image ads completely! There is no one-size-fits-all approach to anything (Have you ever tried to squeeze into a one-size swimsuit?!). For some industries, audiences or strategies, image ads can still be powerful and engaging. So, it’s all about testing – test different messages, stories and images to find out what works best for your brand and your audience. We are always testing different messaging, creative types and placements when we set up and optimise social campaigns to find the winning combination. We like to use performance creatives to do this and create a range of different experiences and messages in each ad; and test until we have found the one that works the best! For performance creatives at a great price, call KMG today!